When did Motorcycles become my passion? Everyone has a moment when they realize their passion. That moment they know what they are meant to do. I will never forget the day motorcycles became my life . I was six years old and my family had just met with our attorney after my dad was in a bad accident. I was pretty down, seeing my hero in such a tough accident. I didn’t understand fully, I just knew things were not the greatest. My uncle came over that night and seeing me so down, he asked my mom if he could take me for a ride on his motorcycle. I could tell my mom was not thrilled, but seeing how excited I was she said yes. The second I hopped on the back and heard the engine roar, I knew I had to have one of these one day. I felt like we were riding at the speed of light. We were maybe going 30 mph, but I thought I was the coolest kid in town and I had fallen in love with that motorcycle. My passion for bikes never died from that point on. I was fascinated by them. All I wanted was to ride motorcycles. I saved up my money and got my first bike at 19 and began working in a bike shop at 16. I wanted to learn everything I could about motorcycles and I still do to this day. I’m thankful that my hobby is also what I get to do for a living. Motorcycles are my passion. I love hitting the road on the weekend and riding for hours. There is simply nothing like it. No matter what your passion is, go after it and never stop chasing it. Some people laugh when they hear how much I love bikes, but it doesn’t bother me. Its what I love and thats what matters. Do what you love and you’ll never have to work a day in your life. Just find that moment of clarity and chase your dreams. Whether your 6 or 60, it’ll happen, you just have to go after it. 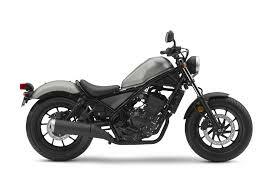 Motorcycles today are modern, technological machines, able to deliver high performance and consistent results. You don’t need to be a genius to ride or even work on your bike. But, that doesn’t mean you shouldn’t familiarize yourself with some key components to make an informed choice on what ride is best for you. You may think you want a crazy fast high performance sport bike, but you also have other hobbies and the maintenance may not be for you. Today, we’re going to focus on the different chain drives available for motorcycles to learn which is best for your situation. The classic metal chain drive is probably what most people picture when they think of motorcycles. The same as bicycle chains, these are the most common and cheapest option out there. Their commonality makes them the cheapest and easiest to repair when needed, and easiest to find parts for too. Chains also offer the most power, with a very low, about 3%, loss in power coming from the engine to your wheels. This higher performance comes at a price though, as the chains themselves are cheap but they require regular maintenance and care. Maintenance includes lubrication, cleaning, alignments/adjustments and eventually replacement. This is not only time consuming but costs money. Also of concern is if a chain ever does break while riding, it’s possible for the rear wheel to lock up increasing the chance of an accident. Motorcycles with belt drives function just the same as chain drives, however they use a super strong kevlar belt instead of a metal chain. This has some advantages, as the kevlar belt requires very little to no maintenance or regular care. 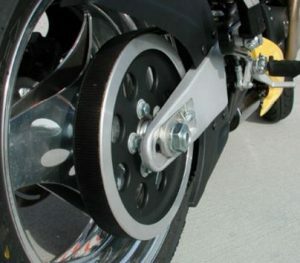 The rear wheel also does not need to be aligned for proper tension as metal chains do. They are less efficient than metal chains, with about an 11% loss in performance, but offer better performance than shaft-drives. The belt itself is more durable and does not need to be replaced as early as a metal chain, they can get more than double the life of a metal chain with about 50 to 100 thousand miles. However, when they do need to be replaced it is more expensive than metal chains at about 300 to 400 dollars. Kevlar belts also make for the lightest, smoothest, and quietest of drive systems. Also, in the event of failure, if a belt brakes, the rear wheel spins freely preventing a dangerous lock up. Motorcycles with shaft-driven systems use a rotating shaft to propel the motorcycle, much like cars use. Their main draw is that they are essentially maintenance free (a simple fluid change with every oil change is all that’s needed) and can last the entire lifetime of the bike with proper care. If they do get damaged though, it’s going to cost you, and is the most expensive system to work on. It is very quiet and clean, though heavier than the other options. This weight and the torque of the shaft make it harder and tougher on your suspension though. They say you should crawl before you can walk, and walk before you can run, but what about skipping a few steps and riding before you can drive? 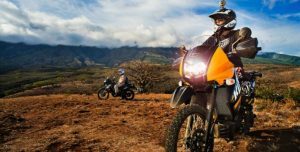 Whether inherited from a two wheel addicted parent, or born with an innate desire to ride, it’s not uncommon for children younger than 16 to want to ride a motorcycle in the form of a dirt bike. Parents may find themselves in quite the dilemma, is it too dangerous to buy a child a motorized dirt bike? Or is it actually safer for them to start learning how to ride at a younger age? Every parent will find themselves arriving to their answer in their own way for their own reasons, but here are some things to consider to help you find your answer for your child. Step one, how is your kid on a bicycle?! Let your child develop balance, steering, and coordination skills on a pedal powered bicycle before diving into fuel injected motors. Explain to them that they need to know more than just how to ride a bike too. They need to put in some hours just riding their bikes around, so they can get the feel of being on two wheels that can only come with experiential practice. 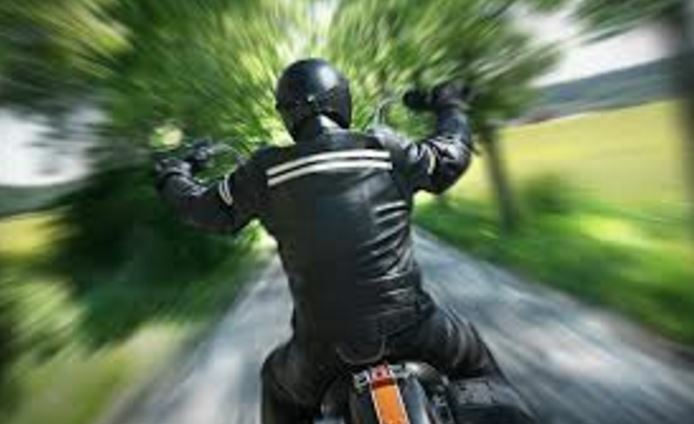 Even the Motorcycle Safety Foundation recommends riding a cycle before their safety training courses to prepare yourself, it may not seem like it but there are a lot of similarities between the two. This will also prevent buying a dirt bike too early. If your child is younger than 10, he or she is still growing rapidly, and that fun little 50 cc or even 35 cc bike will be quickly outgrown. If you have the resources for this then great, but look into waiting until your child can fit on a 70 cc bike, it will save you from an unnecessary upgrade, and give your child a bike they can better grow into and learn from. Speaking of learning, the bike for your child doesn’t have to be like the 1000cc racer in your garage. Smaller sized bikes come in a variety of options. These include fully automatic, semi-automatic, or of course completely manual transmissions. Choosing the right configuration here will allow your child to safely develop the skills needed while having fun and exploring what motorcycling has to offer. Now you may have read this and are still shaking your head, how can anyone ever let their child do that! Well, this still isn’t for everyone. You may want to wait until your child is even older and demonstrates responsibility and understands the risks. That’s fine too. And your child may turn out to not like riding a motorcycle at all once they own one. Search for friends or rental tracks where you can try out the sport before diving into it. Lastly, whether or not you get your child a dirt bike the important thing is that you get your child into something. Whether it’s motocross, soccer, or even chess, encourage your children to pursue different hobbies and activities. Studies have shown across the board that children who partake in hobbies, sports, or other activities, perform better in school and are less likely to engage in risky/illegal behavior. So do it for your child’s future, buy them a dirt bike! We humans tend to think we know everything. We also think that the worse could never happen to us, while we are also destined to win the lottery. This is why we, especially as riders, need to take the time to drill safe and smart habits into our brains so that we think through reactionary responses and can continue riding. This is why I strongly recommend that every rider, whether new (especially new) or old, should take the Motorcycle Safety Foundation course at least once in their lives. If you want wireless installation, go to www.Wirelessnetworksbirmingham.com/, if you want to ride a motorcycle, attend the MSF basic rider course. Here’s three reasons why you should. Learn on somebody else’s bike! I’m sure you’ve heard the phrase ‘try it before you buy it’, well this is especially true for motorcycles. Even if you know you want a motorcycle and have driven a few before, the MSF course is a great way to practice skills and learn things on a bike that isn’t yours. When you first start riding, you’re going to make mistakes; you’re going to grind gears, shift awkwardly, skid, and maybe even drop the bike at low speeds. These are all potentially costly things that can damage your new bike. So make those mistakes on an old bike that’s meant to take the abuse, and most importantly won’t end up costing you anything. Build a foundation of good habits. It’s easy to let bad habits, sloppy technique, and lazy choices shortchange you of the skills and knowledge you need to ride a motorcycle in a diverse set of situations safely and efficiently. Through a combination of classroom teachings followed up by practical drills and exercises, the course will instil in you the ability to make split second decisions that could save your life. Not only are the drills and training valuable, but it offers a safe place to practice these drills, with a large parking lot, cones, and trained professionals standing by. It’s much easier to let someone else rent and set up a motorcycle training ground than to set one up yourself. And on top of all that, you will have someone else watching you do these drills, to give you notes that you can’t observe yourself, so you can adjust your technique and improve your skills. If all these other reasons aren’t enough to persuade you, don’t worry as I’ve saved the best for last, it’s free! That’s right, renting a training motorcycle, expert teachers, and a safe and productive space are all free in the Motorcycle Safety Foundation’s rider courses. You literally have nothing to lose and can drop out of the course at any time if you learn that riding a motorcycle isn’t for you after all. But, it doesn’t end there, you also have discounts to gain! Most insurance companies offer discounts to riders who successfully complete the course. So not only do you not spend any money, you save money too! Also, at the end of the course, you will be awarded your motorcycle license. This does cost money, but only as much as a motorcycle license would cost in your state. On top of all these savings, you are also learning knowledge that can save your life and your bike, not a bad deal!